Home > Government & Politics	> Are States Preparing for Bankruptcy? 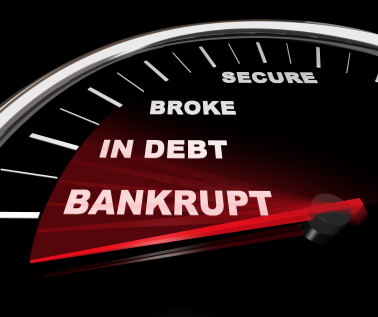 Are States Preparing for Bankruptcy? From coast to coast, states and municipalities are facing significant budget deficits. The recent recession has clearly taken its toll on state and local revenues, but there is more to the story. Like the federal government, states and local governments have obligations that are creating structural deficits, which extend beyond the effects of the recession. The long-term obligations of Social Security and Medicare are large contributors to the structural deficit of the U.S. Government. The states’ biggest problems are Medicaid and public employee pension plans. Reports are starting to come out of Washington that Congress may consider legislation that will allow states to declare bankruptcy. Legal experts cite Constitutional issues that make it difficult for states to declare bankruptcy. Bankruptcies are generally governed under federal law. Since states are sovereign entities, new legislation may be required before states can file for bankruptcy protection. Recent bankruptcy filings by the airlines and auto manufacturers resulted in amendments to their union benefit and retiree obligations. Rather than successfully negotiating contract changes with the unions that allowed the companies to prosper, a bankruptcy judge mandated the changes. You may have your opinions about the necessity and benefits of bankruptcy laws, which may be influenced by your status as a creditor or debtor. Aside from the debate about bankruptcy, there is a dangerous precedent being set. Instead of parties looking to negotiate contract changes for everyone’s benefit, they look to a lone judge to make the tough decisions. Political leaders should not be able to shift difficult decisions to the judiciary. Changes to public employee and retiree benefits are not popular. No one wants to take away money or benefits from another person, especially someone who is retired. This is not a good way to score political points. It might seem a lot easier to get an appointed judge to do the dirty work, but that is not what our leaders were elected to do. Instead of trying to persuade Congress to change the bankruptcy laws, state and local leaders should be investing their energy in addressing their structural deficit issues. If a state or municipality can’t afford their contractual benefits, they need to work with the various parties to find a resolution. In my opinion, it’s cowardly and wrong to transfer that responsibility from elected officials to an appointed judge. Tax Tips – Make an IRA Contribution Is It Bad to Pay Income Taxes?